As spring arrives, glimpses of the sun prompt a full strip, down from the four layers of sweaters to t-shirts and tank tops. As spring arrives, glimpses of the sun prompt a full strip, down from the four layers of sweaters to t-shirts and tank tops. Just after all the snow has melted, and right before the blazing sun rays of the summer, spring is easily one of the best times of the year, especially at Hopkins. Mitchell Delfni ’18 mentioned “The Pit because there is nothing better than playing lacrosse with the boys in nice weather.” Fans flll up the benches under the sun in the spring season to cheer: “I enjoy watching lacrosse with my friends and relaxing on the feld because it is a fast-paced game,” said JR Stauff ’19. Each grade gets to enjoy a day away from the books and unwind together on class trips. The freshman will enjoy a day at Six Flags in Agawam, Massachusetts. “I’m most looking forward to the freshman class trip because we get to do something fun as a whole grade,” said Chloe Sokol ’20. “I am so excited to relax, swim, and tan in Watch Hill, Rhode Island,” said Sara Chung ’19. Though the junior class is still undecided on their destination, the senior class is excited to spend a day in Newport, Rhode Island. 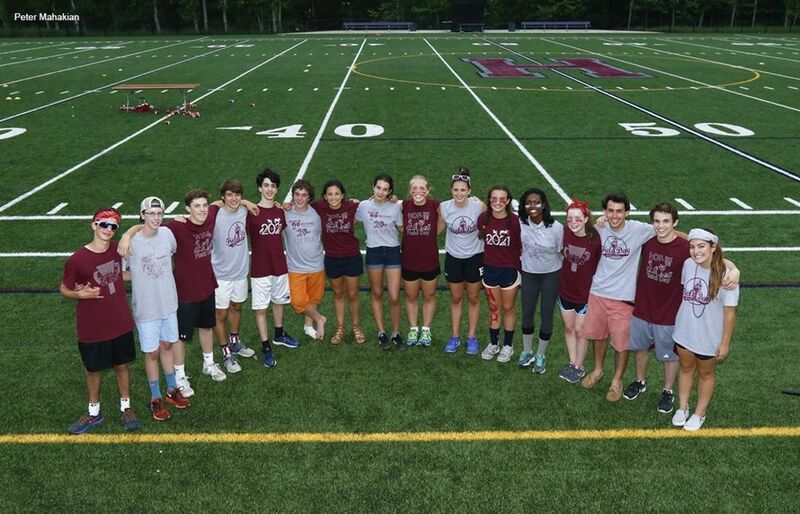 Although times may feel stressful and overwhelming as the school year comes to an end, as students are vigorously trying to fnish their term papers or prepare for the AP exams, the spring season has plenty to ofer. “Despite the increased workload, the beautiful Hopkins spring campus has a way of erasing all your worries and making you feel at ease, at least until you get to your next class,” commented Spencer Lockhart ’18. Between the pink trees starting to blossom near the soccer felds and the various fowers blooming once more outside the cafe, it is easy to forget those long, wintry nights in January and instead start looking forward to the end-of-year festivities.